With the introduction of IKEA to this country many years ago, we have fallen in out and out of love with flat pack furniture. In the past I’ve written about our love and hate relationship with the ever expanding Swedish brand. We’ve become accustomed to the idea of flat pack furniture, its cost benefits and accessibility. It can be extremely versatile and businesses and websites exist that show how we love to experiment and customise our flat pack products too. So have we fallen out of love with solid wood furniture then? Does it just not appeal to us anymore. There are so many lovely companies around selling beautiful wood furniture that I thought it was worth looking at the benefits and reigniting our passion for solid wood. We’ve become so used to the versatility of flat pack furniture, and its level of throwaway value we’ve forgotten about the lasting value of something made of solid wood. Dining tables for example that are used for years, family heirlooms that we treasure and pass down from generation to generation, these are the real benefits of beautiful wood furniture. How many times have you considered changing some of your cheaper flat pack furniture, and thought that’s ok to do, it didn’t cost much in the first place? I’m guilty of this as much as the next person. But think of the environment, think of the waste. A piece of beautiful solid wood furniture will last a lifetime if looked after in the right way. No need to spend and spend on cheaper veneered pieces, make one bigger outlay that will last so much longer and be comfortable you’re making the right choice for the environment. Many companies selling wood furniture ensure that they are made from ethically sourced materials. Take Satara Furniture for example, who sell eastern inspired fair-trade furniture, and feel strongly about the protection of the environment and only use factories who feel the same way. No need to feel guilty about buying their bedroom range at all. 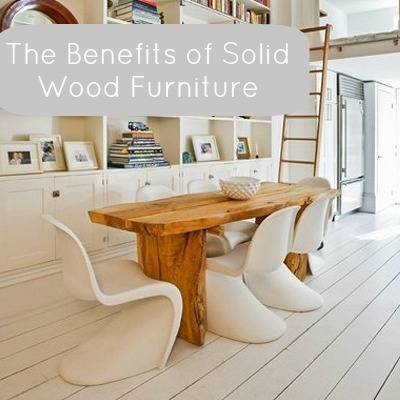 Solid wood furniture has to be great for a family home. Yes, some woods will get knocked and marked but really that just adds to the beauty of the piece. It adds history and memories so see this as a positive. Flat pack won’t last as long, it will fall apart ultimately, and as many solid wood pieces are handmade it really does mean you’ll get something individual and unique to you. I love the look of the bedroom furniture from Willobys Furniture , which looks solid, strong and timeless. Modern too, so perfect for our style of homes. So as much as we love the value of flat pack, and I do too, solid wood is well worth the investment and outlay for many reasons. Do you have a piece of old wood furniture in your family or home that could tell a story? solid furniture is very important for our home..The images you share are really awesome.love these. BEAUTIFUL , Elegant yet simple ! Thanks for the wonderful post. Really Loved the amazing images. furniture is very important for our home..The images you share are really awesome I love these.